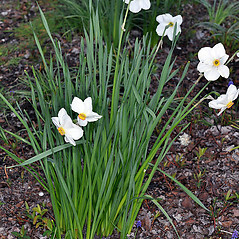 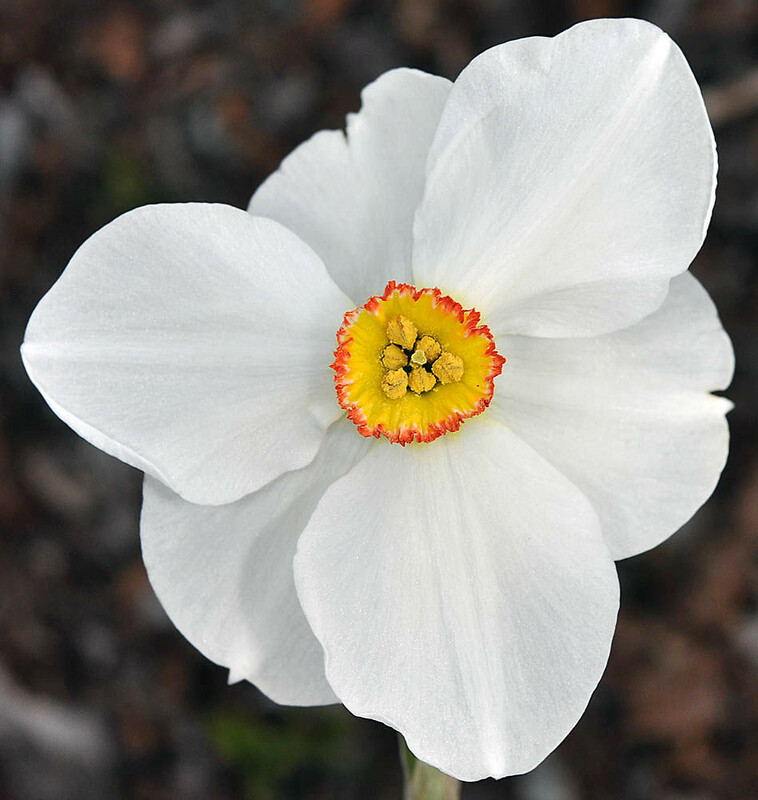 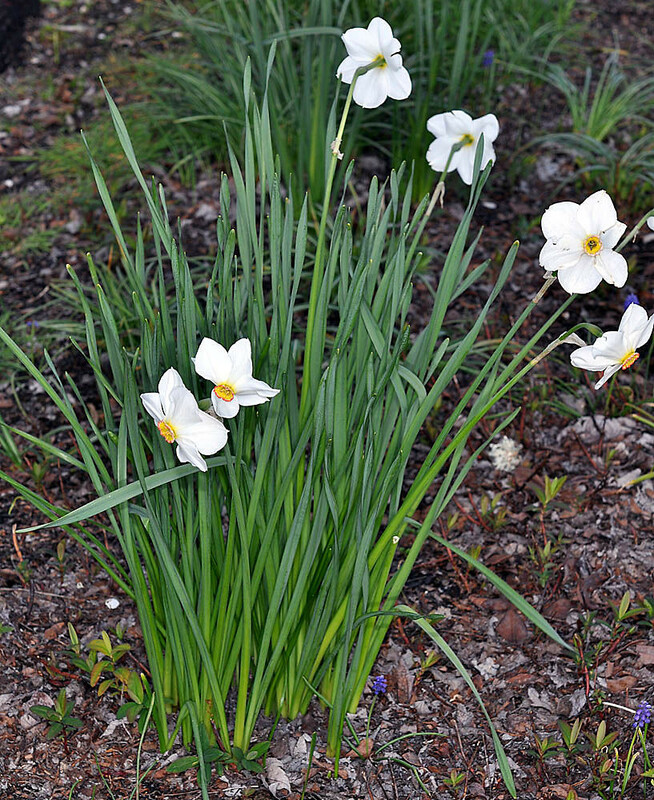 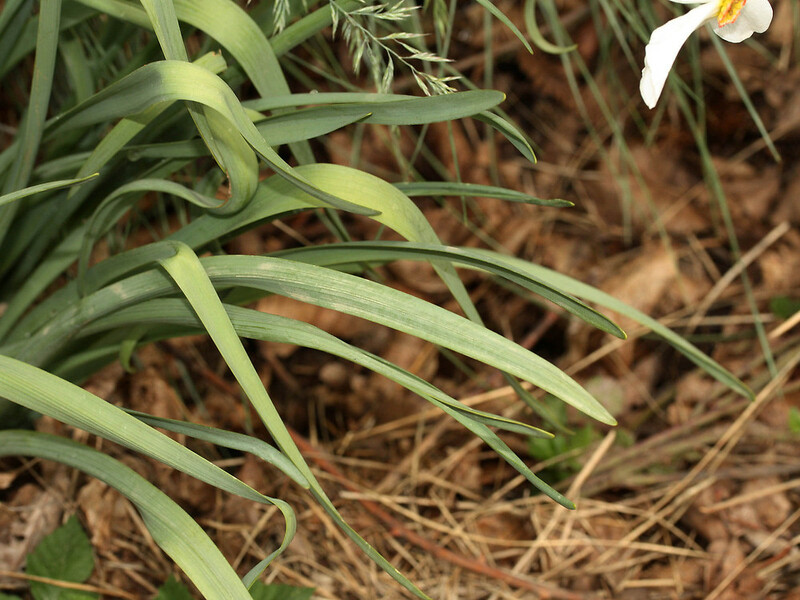 Poet's daffodil hails from central and southern Europe and has widely naturalized in temperate regions. 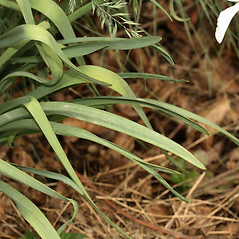 This includes much of New England, where it can be found in fields lawn edges, roadsides and other human-disturbed sites. 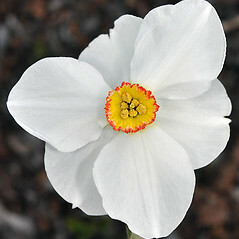 corona tubular, 30–35 mm long, yellow, with a flared and ruffled apex, and tepals yellow, 2.5–3.5 cm long (vs. N. poeticus, with the corona cup-like, 3–5 mm long, usually yellow with a red, crenulate apex, and tepals white, 1.5–2.5 cm long).